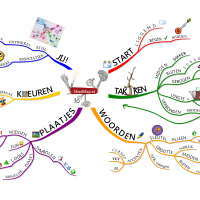 Speciaal voor scholen heeft iMindMap speciale schoollicenties. Speciaal voor scholen heeft iMindMap aantrekkelijk geprijsde Educatieve licenties. Uitgebreide mogelijkheden om fraaie presentaties te maken en te bekijken. 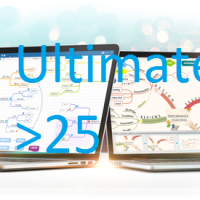 iMindMap Ultimate is the only Mind Mapping software tool featuring a free-form Brainstorm View, to help you capture ideas without restrictionbefore developing them in a Mind Map. iMindMap can create visually stunning Mind Maps and flowcharts, with images, icons, Branch Art and a variety of styles, to make your ideas pop. Seamlessly transform ideas into actions with iMindMap’s integration with visual task management app, DropTask. The intuitive builder will help you plan and create stand out presentations, while the presenter screen ensures your delivery goes off without a hitch. Bring your business to life with captivating 3D View. Glide around your work from a multitude of angles and get your points across in a clear and powerful way. Working with the most-used desktop tools, iMindMap Ultimate can effortlessly export your maps into clean Word documents, spreadsheets, PowerPoint presentations, and webpages. 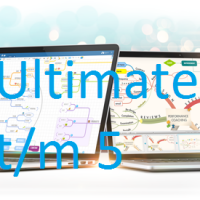 ONLINE TRAINING: Leer alles van iMindMap Ultimate!